There was a large turnout of village residents for the public meeting explaining what efforts the council is undertaking to house Syrian refugee families, fleeing the conflict in their home country, as part of a British Government scheme. 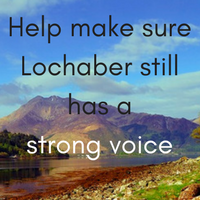 As there is spare housing in the village – flats repeatedly refused by other people on the housing list – Kinlochleven will accommodate four refugee families. The main criticism during the meeting was the lack of transparency by the council, a failure to discuss this with the community at a much earlier stage and the poor publicity for the meeting. I agree with and share those criticisms, something as a councillor I have expressed in a letter to the Chief Executive. This was not helped by an inaccurate article in the newspapers, which suggested 20-30 families were to be housed in the village. Understandably, this led to concerns that the village infrastructure, such as the schools and medical centre, would not cope with so many vulnerable families. At the end of the meeting, the broad opinion was more positive with many people asking how they can help welcome and support these families when they arrive in March. There will be a follow-up meeting in early February to provide more details about the scheme. In the meantime, if you have any questions there is a handy Q&A section available here.